Let's take a quick journey back to childhood! Remember when you were young and impressionable? You viewed everything with wide eye wonder and you played fantasy games that had damsels in distress, pincesses and princes, kings and queens, castles and far away kingdoms and even ....dragons. Celebrating our long past youthful days, today's blog is about Dragons. Or rather books about dragons. The magic that they hold over us as children never really fades. What is your favorite dragon book or story about dragons? The Dragons we read about and watch in movies are always so mysterious and powerful. Stories like Eragon, and In His Magesty's Service they were faithful. Some just rained down fire in a terrible fury like the ones in Reign of Fire and we even find them in paranormal fantasy masquerading as somewhat human like form like in Dark Curse by Christine Feehan. Tears of a dragon were said to have healing properties and they were known to be fierce protectors of shiny goldent treasures like the the dragon Smaug in the Lord of the Rings. Finding herself strangely drawn to the company of the dragon, Gnaw, Shannon must force herself out of her safe world of books and botany to come to the aid of her unexpected ally in a strange kingdom, cursed by a fateful encounter with a dragon and the loss of a beloved prince. Meanwhile, Shannon finds herself alone and with child. Unable to sit still with her husband absent, she joins with Ryan of Westshire in the prince's desperate search for his young son. King Riley, however, will see Ryan dead before allowing him to find the lost child. 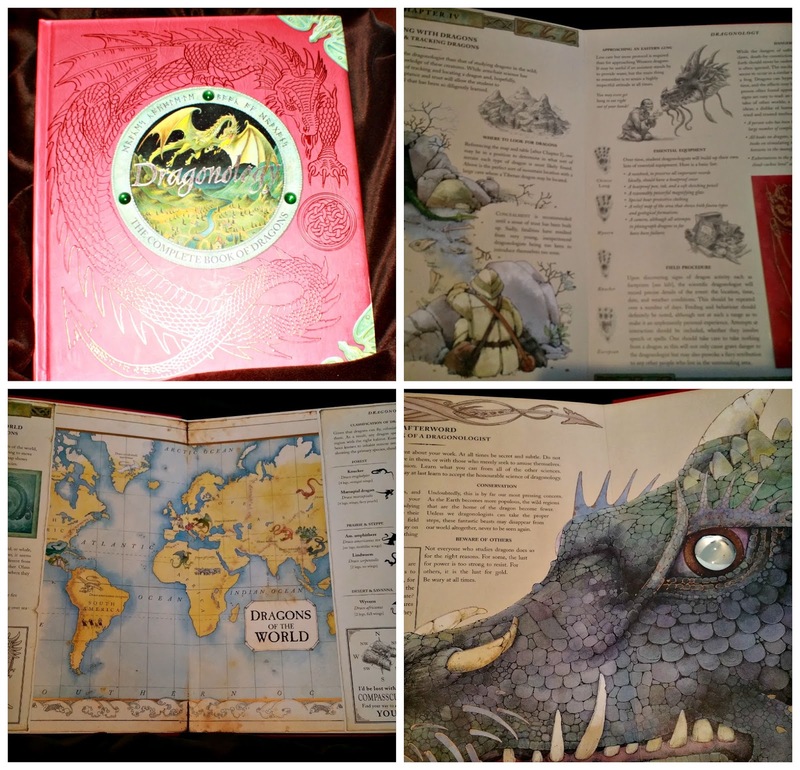 I actually purchased this book for my son when he was into dragons many moons ago. Now he writes his own fantasy worlds and races. 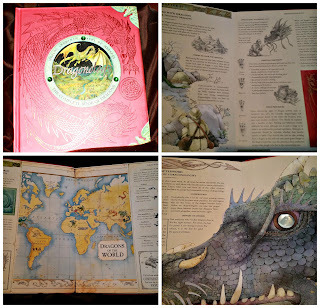 There are gorgeous illustrations and interactive pockets and flaps for any young dragon lover to explore. the back page has a clear marble eye in the dragon illustration.